Do you want to transform your workplace with carpet cleaning? Jacksonville, FL trusts Supreme Janitorial Service to get dirty or worn carpet looking fresh again! Our team of carpet cleaning professionals has over 44 years of experience in removing the toughest stains. 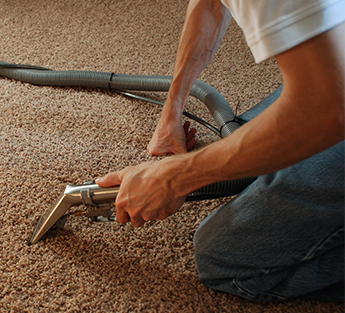 We can handle carpet cleaning jobs of any size effectively, safely, and efficiently. Let us be your Jacksonville carpet cleaners! We want to make your office, commercial space, or other public space clean and fresh. Carpets play a big role in how your space looks and feels. You can count on Supreme Janitorial Service to provide the highest quality carpet cleaning. Move All Furniture—We will move your office furniture or any other furniture out of the room that is being cleaned. We will put your furniture in its original location it after we finish cleaning. Vacuum—We thoroughly vacuum your carpets to remove dust and loose debris before we begin shampooing. Pre-treatment—Our powerful stain remover solution will help remove the toughest stains. Shampoo—We will shampoo your carpet and remove all moisture with our state-of-the-art extraction device. Do you need quality commercial carpet cleaning in Jacksonville? Contact Supreme Janitorial Service today to schedule your carpet cleaning appointment. We are proud to serve the greater Jacksonville area, including Jacksonville Beach, Ponte Vedra, St. Augustine, Fernandina, Amelia Island, Orange Park, and Nocatee, Florida.